We have all heard rumors about Apple’s augmented reality (AR) glasses and they might be materialized soon as suggested by recent reports and Apple’s newly granted patent. It is said that Apple will begin manufacturing its AR device the soonest in 4Q19 and release the product by 2Q20. According to a report covered by 9To5Mac, the device will be heavily dependent on the iPhone, using its computational power for image rendering, internet connection and location service. The pairing between the AR glasses and the mobile phone might be wireless connection, similar to the Apple Watch. On the other hand, the U.S. Patent and Trademark Office have granted 41 new patents for Apple on March 12, 2019, including the one of AR applications that Apple acquired from Mataio, a German AR specialist in 2015. The patent related to the AR device describes a head mounted display system (Head Mounted Display, HMD) that comprises a semi-transparent display, sensors, camera and a mobile phone that provide computing function. The update goes in line with the report of Bloomberg in 2017 which indicated that Apple aimed to have its technology ready for AR headset by 2019, following the product launch in 2020. Taiwan’s Young Optics was said to be the possible supplier of the optical components for Apple’s AR headset. 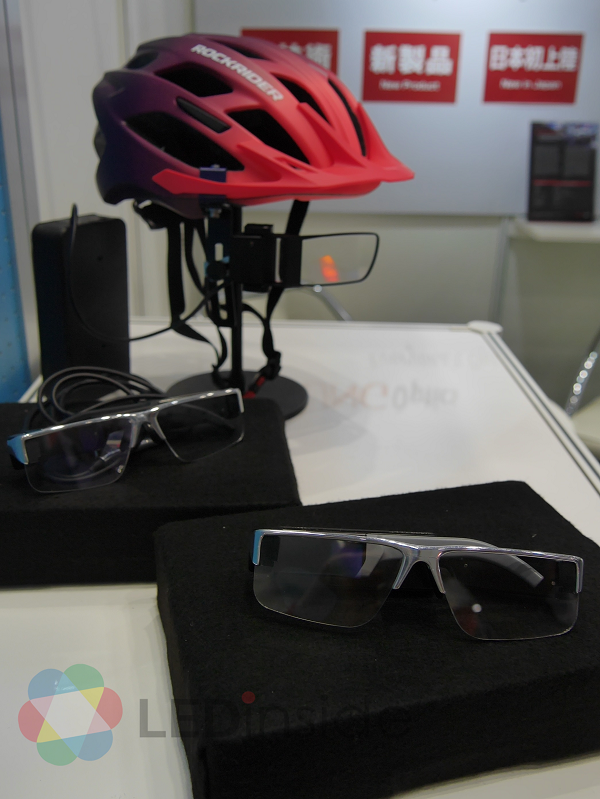 LEDinside has interviewed with the company at NEPCON JAPAN in January and illustrated its AR HUD display modules that operate through connections with smartphone, which matches the description of Apple’s possible new AR glasses.